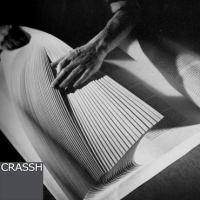 Dr Kasia Boddy, Fellow and Director of Studies in English, is convening, together with David Winters (English PhD, Pembroke), the ‘Books in the Making’ symposium taking place at CRASSH on 14–15 April 2016. This interdisciplinary symposium seeks to expand and enrich our understanding of contemporary literary production, situating today’s fiction within a wider field, encompassing literary agents, editors, book reviewers, writing teachers, prize judges, festival organizers, and more. A keynote address will be given by Professor Jim English (University of Pennsylvania), the author of The Economy of Prestige: Prizes, Awards, and the Circulation of Cultural Value (Harvard UP), which was named Best Academic Book of 2005 by New York Magazine. ‘Books in the Making’ is organized in conjunction with the Cambridge Literary Festival, which this year will feature best-selling American crime writer Lee Child. Child will be joined by Dr Andy Martin, Lecturer in French Literature and Philosophy at the University, who followed the author for a year as he wrote his latest thriller, Make Me. Registration for the Symposium includes a ticket for Lee Child & Andy Martin’s event at the Cambridge Literary Festival .